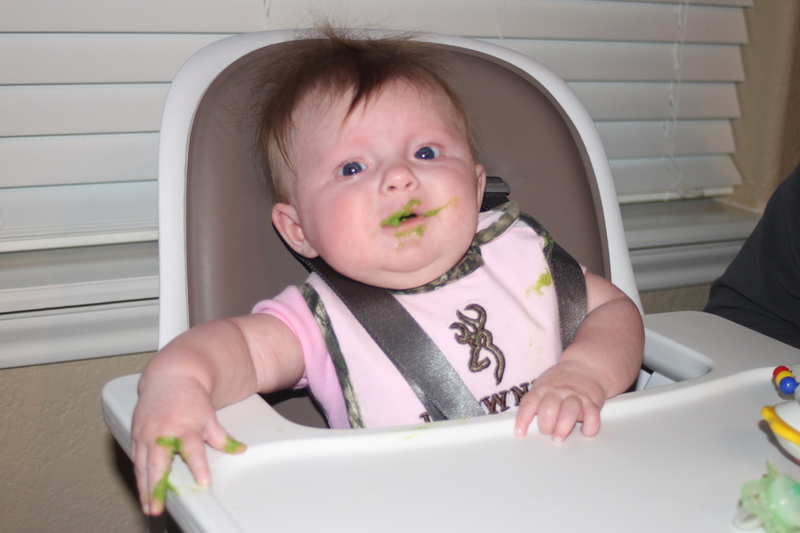 This last week we decided to give “real” food a shot for the first time and peas were the chosen fare. I think the photos below speak for the experience. 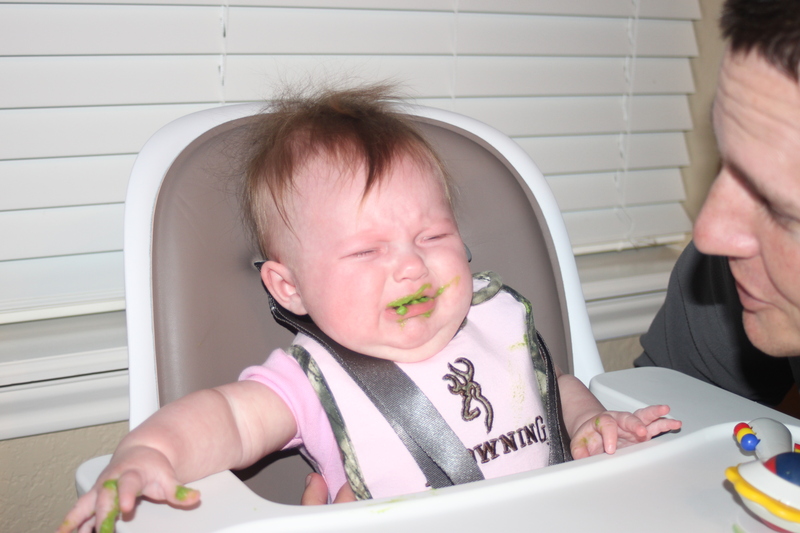 I don’t blame her – I hate peas too! What on earth was Mommy thinking!? And mini Daddy Daycare alert: later that night Scott gave her some strawberry lime sorbet. You know, because 4 month old babies should eat ice cream. Seemed like she liked it until she got what I’m guessing was her first ever brain freeze!! Now it will really be easy to get her to eat vegetables! Haha! Anyhow, here are the pea pics! Next Post 5 Months: Counterfeits, New Jobs, Teeth, Cribs, and Much More!